StarMade allows players to explore an infinite universe all the while having epic space battles and conquering galaxies. 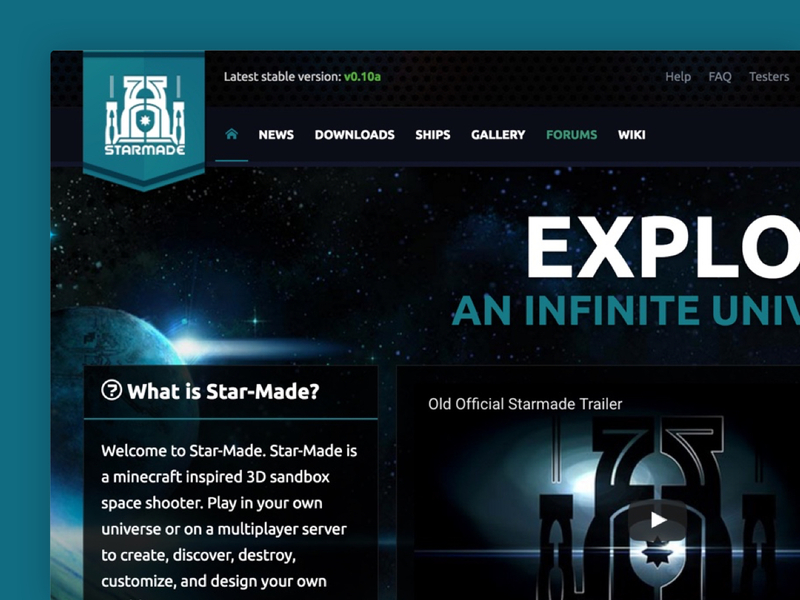 StarMade contacted our team to help them establish their game with a logo, web presence and forum design. The team behind StarMade was also interested in including a Wiki and ticket system into their website flow.